Dad, did I tell you how we lost and found the Graceton Depot? The Aunties and Trenda and I decided to go driving around to see the old places. 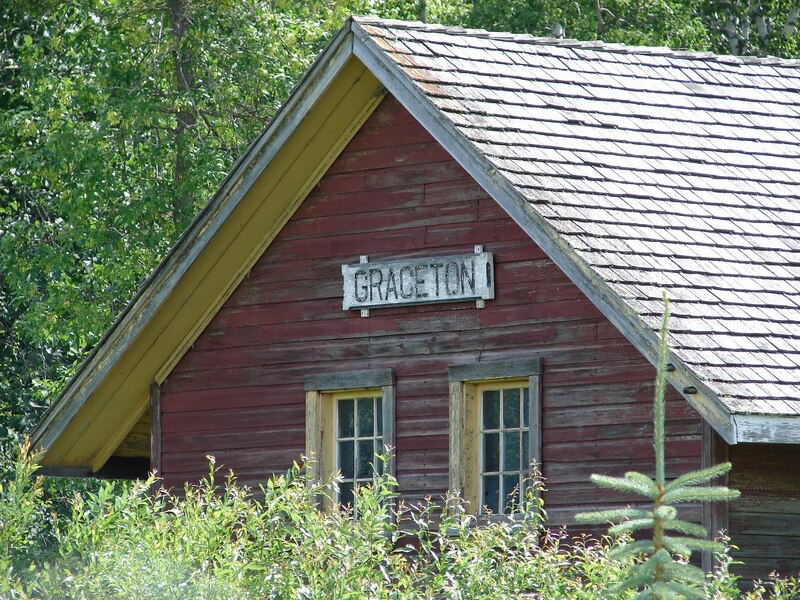 When we drove into Graceton and crossed the tracks the old depot was missing. The Aunties noticed immediately and set up a howl of protest. Oh well, so it was old and it’s gone was my thinking and what could be the big deal?! But we found the house where you lived as a boy and the old cemetery where the Grandparents and Uncles are buried. We continued our search of old places and stories and by and by we headed back to Aunt Enorans house by Lake of the Woods where we were staying. 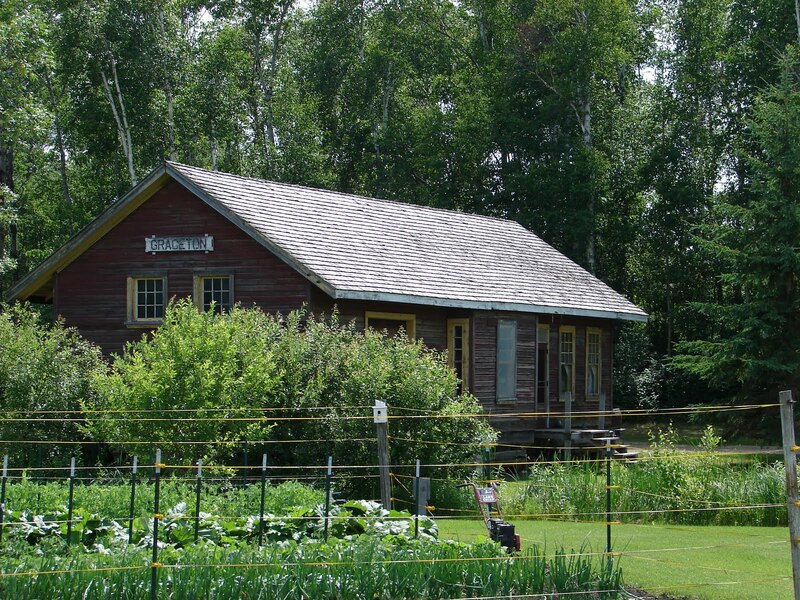 Somewhere several miles from Graceton we found our lost depot in a garden. As you can see the depot is a treasure to more than just The Aunties. A little creek (krik) runs through the yard from under the front stairs there. I suppose the creek is a man-made affair but it looks really quaint and the depot looks happy and proud nestled there in the garden. You will have to ask Carol whose yard this is. I’m sure she will know.